Sources in Yemen's internationally recognized government said that Saudi military force has arrived in the eastern province of Hadramout on Saturday to take over the task of securing a meeting of the House of Representatives (parliament). According to sources in the parlament the yemeni Aden al-Ghad newspaper reported that the Yemeni Parliament will hold the sessions in the city of Seiyun, the capital of Hadhramout governorate. Yemeni Media said a full brigade of saudi ground forces arrived in the first military zone in the city of Seiyunof Wadi Hadhramout on Saturday night. Late last month, Yemeni sources said the House of Representatives would begin its sessions early April in a city under the control of the internationally recognized "legitimate" government without naming it. The sources added that the Deputy Speaker of the House of Representatives Mohammad Ali al-Shaddadi, sent a letter to members of parliament at home and abroad, inviting them to come to the Saudi capital Riyadh by Sunday. 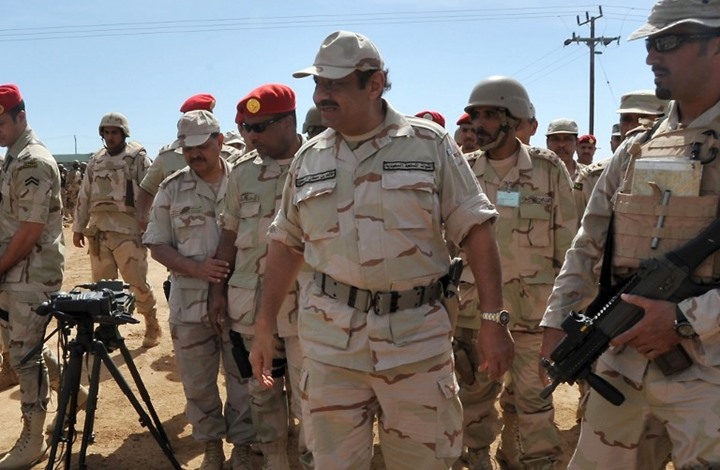 Observers fear that these forces are the nucleus of a Saudi military presence in the province of Hadhramout, similar to its presence in the province of al-Mahrah. The Yemeni Parliament has been experiencing division following the war, with most of its members in Houthi-held areas holding semi-regular sessions in Sana'a. But their number has increasingly declined after former president Ali Abdullah Saleh was killed in his house by Houthis on the 4th of December, 2017, two days after he had declared his GPC party's disconnection from partnership with Houthis and called for uprising against the group. The recentdevelopments come asthe Houthi group preparing for by-election in the Houthi-held capital of Sana'a to replace the Parliament vacant seats. The Houthi-run Supreme Committee for Election and Referendum (SCER) has called on electors of the 34th constituency to attend ballot boxes on 13 April and choose their representative. Later, on February 3, Yemeni President Abdrabbu Mansour Hadi decreed the SCER to be moved from national capital of Sana'a to the Arab Sea port city of Aden, seat of his government. The government of Hadi has made arrangements for parliament official session in Aden, a move faced by many obstacles, particularly resistance by the Emirati-backed armed Southern Transitional Council to such a session in the port city. Somesoutherners refuse to hold of sessions of the Yemeni parliament in Aden because they see that it does not meet their demands and aspirations, as most of its members consider the remnants of what they call "the Yemeni occupation. A member of the House of Representatives claimed in a statement to the Yemeni media on condition of anonymity that the UAE did not allow the convening of the session of the House of Representatives in the city of Aden and that all efforts failed to convince the UAE, which instructed the Transitional Council to escalate against the presence of the government in the event the sessions have been convened in Aden.